DSP35 - The Tomahawk Deluxe Multi-Catch Squirrel Pack consists of one excluder model E30, one soffit cone model SC40, one inside corner cone model CC40, and two repeating traps with two trap doors model SPT35. 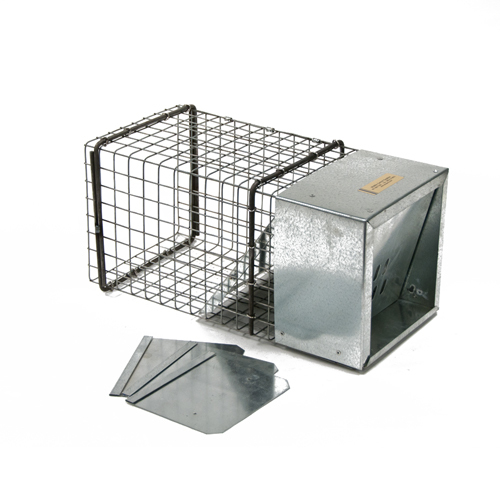 This versatile multiple catch system allows you to trap or exclude the entire infestation from den openings located virtually anywhere, including vertical surfaces, inside corners, or overhanging structures. Make short work of any squirrel job with this incredible system. DSP35 is made to fit over 3" x 3" wide or smaller openings.